Author Linda Nance and I met at the Jonesboro Library author’s meet and greet some years ago. Since then she has mentored me and many others in the Northeast Arkansas Writers Club that meets once a month (and other times just for fun.) She calls me to encourage and shares everything she knows freely. Whenever I call to ask her questions, she always stops whatever she is doing and we talk for hours. She’s fun and informative and she writes the most interesting ideas about life and other things that I would never have thought to write about. I know that you will enjoy her many wonderful stories and books. http://www.amazon.com Linda Nance. Linda Nance writes, paints, loves arts and crafts but is inspired by the love of family and friends especially those grandchildren. Linda writes many things including Novels, short stories, poetry, essays and many other writing pieces. The covers to her books reflect her love of art as she shares drawings, sketches, photos and some of her paintings. She feels she can create something special from cover to cover and share it with all. Her writing has versatility to tell a good story to entertain while sharing other things with the reader. In some of the stories she hopes the tales will also inspire thought concerning many issues that may be problems at one time or another in life. Her books themselves are her way of making her dreams come true and an example to others to never give up with their own dreams. Life is a journey. There are times that the path is smooth and well traveled and others it seems steep and difficult…but if we do not give up, there is so much more that awaits us. I love to paint paths that lead to ?… I hope they will lead to where we need to go in life. I hope there is love, hope, happiness, and wonderful new things that await us at the end. I want to look for and find the beauty in life and find love and hope. This book is not just the wonderful moments to show only the smiling, happy, marvelous and inspirational times…I am trying to make it real and share a piece of my heart, life, thoughts, feelings and so much of who and what I am. This may be my story, but I hope in sharing it you will find meaning, hope and knowledge that we will not give up…Not today. This book is shared from the heart. Linda Nance writes, paints, loves arts and crafts but is inspired by the love of family and friends especially those grandchildren. Linda writes many things including Novels, short stories, poetry, essays and many other writing pieces. The covers to her books reflect her love of art as she shares drawings, sketches, photos and some of her paintings. She feels she can create something special from cover to cover and share it with all. Her writing has versatility to tell a good story to entertain while sharing other things with the reader. Her books themselves are her way of making her dreams come true and an example to others to never give up with their own dreams. The author explains: Life is a journey. There are times that the path is smooth and well traveled and others it seems steep and difficult…but if we do not give up, there is so much more that awaits us. I love to paint paths that lead to ?… I hope they will lead to where we need to go in life. I hope there is love, hope, happiness, and wonderful new things that await us at the end. I want to look for and find the beauty in life and find love and hope. This book is not just the wonderful moments to show only the smiling, happy, marvelous and inspirational times…I am trying to make it real and share a piece of my heart, life, thoughts, feelings and so much of who and what I am. This may be my story, but I hope in sharing it you will find meaning, hope and knowledge that we will not give up…Not today. This book is shared from the heart. I don’t read many memoirs, but this mix of memoir, essay and depiction of the road to publication is a very pleasing book to dip into, and I valued the chance to get to know the author better. Linda Nance has had many reasons to give up but, deciding in mid-life that “I’m not dead yet,” she decides to go to college and hone her writing skills, publishing novels with Createspace, and now adding this memoir to her repertoire. “A person is many things,” says the author, and we define ourselves by profession, salary, or what other people call us. Wives and mothers will easily relate to the author’s vital commitment to family. But, more than mother and wife, more than survivor of cancer and car wreck, Linda Nance is a keen observer of the beauty of the world, and a woman who’s always wanted to write. The story of the author’s recovery from injury is harrowing and inspiring. Her interaction with a small child who tries to hide from her “monster” face is a high-point of this book, and offers wise lessons for all. And her “old lady cranky” self as she deals with university bureaucracy is pleasingly real and forgiving. The author likes happy endings. Sounds good to me. And she writes a happy middle in this book, not giving up. I just couldn’t put this book down! If you are facing any struggle in your life this is the book to read. Linda shares in detail her struggles and pain through situations that seemed insurmountable and yet she survived. This book really puts things in perspective and you will want to read it from cover to cover. Nance is at it again, writing top notch reads. Nance is very eclectic in her writings, from children’s books to suspense novels, and now, this heart grabbing true life memoir of her struggles through cancer and serious car accident which could have left her debilitated, yet, she would not give up on life. She especially would not give up on her dreams. One of those dreams was to become a writer. And, become a writer she did. This book is very inspirational. It encourages people to never give up on life nor their dreams whatever comes their way. I highly recommend this read. When I published that first book I told my family, if I managed to survive I was going to one day fill a whole book shelf with the very best books I could write. They smiled tolerantly and with worried expressions were concerned with living and staying alive from day to day. It seemed as if I have fought for so many years to stay alive. Even with the excitement of the book Danny I had the idea for the book I Will Not Give Up…Not Today…Life Is A Journey and could not get it out of my mind. I was not sure what I wanted to write because the idea of writing my own story had never entered my mind. It was more the opposite. There are some things in life we may survive but do not always want to focus on and dwell with such intensity as to find words to describe and explain. We lived it once and do not want to live it again. Why then did I write the book? I felt I had to write it and hope it would do more than entertain or tell my story. I wanted and want it to help others. When I wrote the other books I wrote and rewrote and edited. I added or deleted and worked for a long time. I even went back to school before I finished the first novel to try and learn more to make my writing more than what I had been able to accomplish. When I wrote this book it was different. It was very different. I was not creating a book, I was sharing heart and soul. Dance Me Home book review by Fran Lewis. Some children grow up thinking that everything is coming to them and should be handed on a silver platter. Others learn to appreciate the simplest things in life and realize that money, riches and material things are not what makes us wealthy. Robert Jones Senior had two sons, Robert Junior and Doug. Both boys different yet have the same attributes of being hard workers and helping their parents when times were tough. Some fathers live their lives for their families and do their best to make ends meet. Imagine feeling rich because you have a cow which gives you milk and helps make dairy products. Imagine being rich because you live on a farm and can grow your own vegetables at time when food is scarce and the world is rationing their resources. From the moment you meet Robert Senior and then his two sons you learn the meaning of understanding, love and loyalty as Robert Senior starts his first job as a cotton picker and befriends a black man who saves his life and then teaches his own two sons how to live in the world being able to do just about anything. Robert Jones Jr. was born during the Great Depression and lived on a farm in Texas. Learning to pick cotton with a father who became ill and taking over the reigns of breadwinner at an early age we learn that this man was not only smart but also resourceful. When his father had a heart attack and he had to stop going to school, he rose to the occasion and helped out with the chores, getting food on the table for his mother to cook and making sure he made his father proud. Robert had a sweet tooth and although he worked hard he ate even more especially when spoiled by an aunt who allowed him all the treats possible. But, when the doctor explained that he was overweight and that he might not want to remain that way because it was unhealthy, he designed his own fitness program and never deviated from it. Looking good and definitely in great shape Robert Junior attracted many female admirers. Creating a memoir and enticing readers to want to learn more about the person the author is writing about is not always easy. Author Carol Dabney presents the story of a family that lived through many different decades, suffered the same hardships other families did with short to the point chapters including quotes, real life experiences and heartfelt moments allowing the reader to take the journey back in time with Carol to get to know not just her father Robert Junior but her remarkable grandfather Robert Senior too. Learning from their mistakes and realizing that when one is made you learn from it and not dwell on your errors is a valuable lesson her father learned from her grandfather. Admitting when you are wrong whether young or older is remarkable and more than just commendable when the author relates a driving incident that could have proved tragic but turned out to a learning lesson for both father and son. But, Robert and his cousin Donald were two typical teens and you know what that means: girls were on their minds and what they do to keep active and how they got away with it you won’t get that from me you will have to read that for yourself. Some things remain private and more fun to learn for yourself. The war interrupted their gallivanting at night and both Robert Junior and his cousin Donald enlisted in the Navy. Robert’s experiences in the Navy proved more than ordinary as he met Tyrone Power, Audie Murphy and even created the plans used for the U2 Spy Plane. Added in our real photos of her family, her father and cousin in the Navy and many others bringing this story to life in the present. From his time in the navy to the end of the war Robert Junior proved that he was not only brave but loyal to his fellow soldiers never faltering in any decision that had to be made yet hoping that everyone would survive the bullets that often sprayed them, the city boys who were not as adept to handling the difficult situations and the casualties that were incurred. But, the war did more to this young man than could be seen on the surface as nightmares and strange dreams haunted his mind and the world did not seem safe to him. Thinking that when he returned home he needed the same gun he used against the enemy to keep him safe and whole added in it would take a long time and the support of many people to bring him back to normal. The jungle experiences still lingering within the minds of these young and frightened men going back to their Quonset huts seems like luxury. But, Robert Junior missed being home and the amazing girl he met at the USO dance before leaving for war. Thinking about her and trying to imagine them dancing was the basis for the title of this memoir: Dance Me Home. As the author relates how he net Wanda and his first impressions about her. Imagine asking his cousin to dance with her first and then cutting in. How cool is that! Sometimes it takes one special look or glance and you just know that person is the right one for you. Wanda was from Cuba and spoke Spanish. If you look at the picture on page 49 you will see just how beautiful she was. Having Donald as his Cyrano to find out more about this beautiful girl was quite remarkable. Wanda spoke English, more than she originally let on and she was named after a Cherokee Indian princess. Telling how they met, the history of her family allows the reader to get to know just how far her parents would go to keep their children safe from harm as Carol relates on pages 51-52 a terrifying incident that both Wanda and her brother Wallace witnessed. We then learn more about Wanda and her family history and the tragic death of her father Albert as the author moves the story ahead and we learn about the seriousness of Polio. 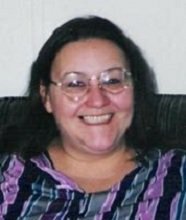 But, Wanda could not handle the death of her father she came down with Polio and the end result would be a miracle from God as she wasted away for a long time and a sister and father came to her home the feeling of warmth and comfort over took her and the next day the disease was gone. But, Wanda worked hard to help her mother but like any young girl she did stray when it came to boys and paid the price. Maria Elena her mother did remarry and have three more children totally 6 in all. The marriage ended ten years later in divorce. Things became more difficult for this family before getting better when child services realized their problems and helped them through the difficult times. But, the war ends and his relationship with Wanda begins to take shape but just how you have to read for yourself as this is one young lady not to be trifled with and definitely won his total heart. But, the wedding took place his family grew and then thinks began to settle down for a while. Living in many different places and working different jobs brought Robert closer with his brother until he left the world the same way as his father did. Depression set in and the family was now homeless and lived out of their car hoping to catch fish for food and drink water from the lake. With another child, the author to feed and things more difficult Robert got a job as a plumber. With both parents working things were looking up. Weaknesses tend to divide families as this one found out when Robert resorted to the bottle for comfort his personality and behavior patterns changed and he became violent. The author relates many incidents to the reader and she explains how this caused her mother to leave for a while, work on a cruise ship and how she manage to bond closer with her father. With a sister who overcame a physical difficulty another who loved the outdoors and having fun this family became separated in some respects and closer in others when adversity strikes again. Things did not go smoothly and the family needed each other for support as Robert and one of Carol’s uncles decided drinking was a better past time than anything else. Added in Priscilla her older sister had a serious accident and Carol herself would remember a certain German shepherd. Life changed for each family member and the author’s career as a Gospel singer, record artist and more created pride and excitement for her family. Her music filled the radios as she performed on a show. Guest on several shows and picked up by Paradise Records Carol’s life seemed great until 2001 when things changed. Her parents now older and their lives more uncertain her father was diagnosed with Alzheimer’s which as I know is incurable. Watching a parent as I did my mom start out as a beautiful red rose filled with fragrance, color and vitality slowly wilt, wither and then crumble at your touch. Alzheimer’s is wicked and it takes too many prisoners as the person forgets whom and where they are, needs 24-hour care and families need patience, understanding and support to guide this person each day and keep him safe. The ending is so beautiful and the song Before You Go that Carol wrote is added to the end of this outstanding memoir and will bring tears to every reader’s eyes. Two special people named Robert and Wanda with a love that will go on for eternity and a dance that will never end. Carol is an author, mother, singer, painter and composer and even more important she was an amazing daughter who made her father’s day each and every day of his life. Dance Me Home said Robert: I know that you are up there dancing up a storm to your favorite music at the USO right now. A must read for everyone. Memories are Precious: Cherish yours always: Carol Does: thank you for sharing your father, mother and family with so many readers. Dance Me Home review by Linda Nance. I was given this book as a gift that I will never forget. When I began reading this book I was swept into a story filled with the passions of life, told in such a beautiful and flowing manner allowing the author to share not only a story, but allow the reader to know and feel and see what things were like for so many people years ago. This book is much more than a simple memoir or biography. This is a book that does more than tell history of times and people, as it gives an in depth and intimate glimpse of life from different times in history and places near and far. It is the story of her father and the times of his life and the lives around him. It is more than that, as it reveals the many issues, and not just the consequences good and bad, but the intense emotions as it exhibits insight to reveals heart and soul of the people and times. She does not tell the history as the story develops. She reveals it, and it too is part of the story as the times of our lives are a part of our own story of life. The struggle a man faces with post traumatic stress and alcoholism becomes a challenge that could have destroyed his life and the family. His unending love for his wife and family give him the strength to find recovery and renewed enthusiasm sharing love and making memories with his family after his discovery of his Christian faith. This story was such a delight to read as it not only holds the readers interest, it carries you to times and places and people sharing heart. This is a beautiful story told in an honest and sincere manner presenting not only the joys and successes experienced but also the difficult, painful, and hurtful times and how they did more than survive in life. They shared the love of family and grew together leaving behind something special to remember and share. It shows a love that did not end. Carol’s father fell in love with Wanda and wanted to dance and hold her in his arms. During the most difficult times in the war this young man dreamed of that dance and it was what helped to carry him through until he could go home… Dance Me Home. They had their dance in life and one day will dance together again. This is a book you will never forget.